A furious mum felt forced to scrawl on a van with pink lipstick in a bid to issue one very simple message to drivers. It came after a van blocked the pavement, leaving it impossible to squeeze a pram past the vehicle. 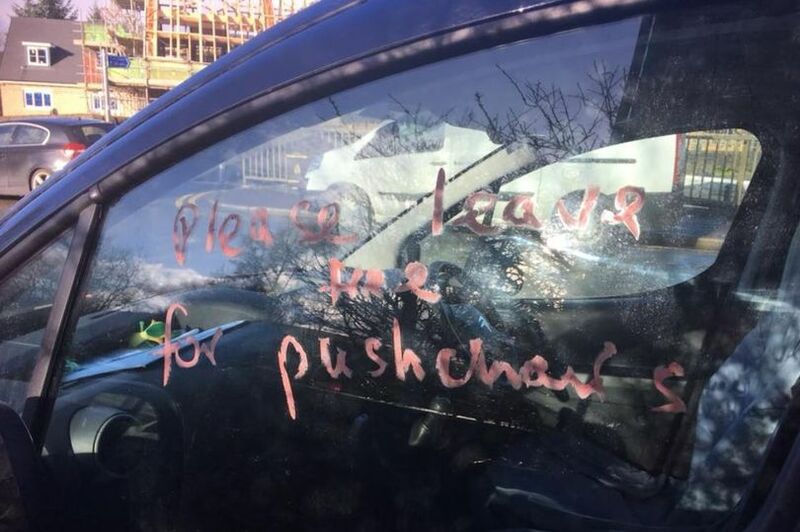 The message 'please leave free for pushchairs' was written in pink lipstick on the window of the van in Littleborough, Greater Manchester. Mum Lucy Greenwood wasn't responsible for it - but was on scene to capture the aftermath with the caption: 'Someone got a bit lipstick-y this morning'. The 28-year-old was walking along Halifax Road towards Blackstone Edge when she spotted the van. Lucy, mum to baby Harry, said: "Fair play to the lady that whipped her lippy out. "There’s nothing more frustrating than having to step onto a main road with a pram or a wheelchair because of idiots that have no consideration for others. 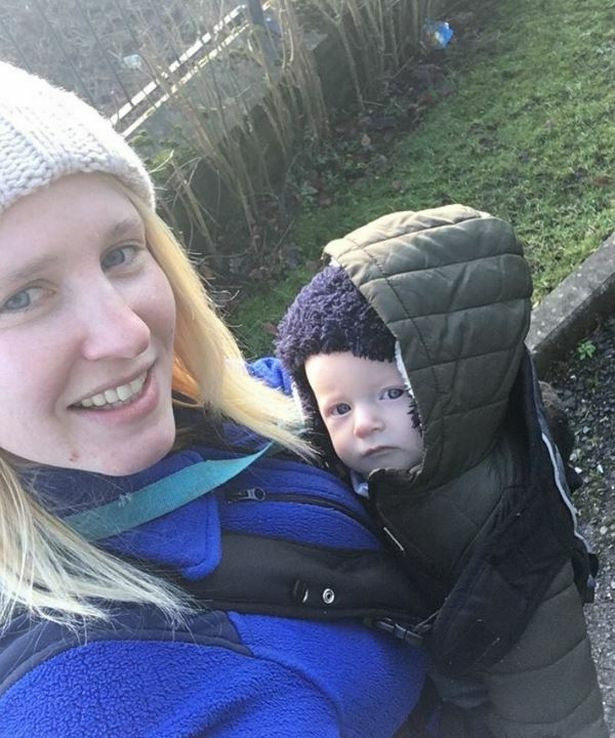 "Luckily I wasn’t with a pushchair at this particular time, but I do have a four-month-old son and have struggled in the past with idiots like this." Lucy's post was praised by others who said it was a clever way to get the point across without causing any damage to the vehicle. One said: "Well done that parent. No damage to the vehicle but might make someone think. I think it’s highly unfair when parents have to walk their prams in the road." Another resident said: "You could go any day and take a picture as yesterday the same van was parked so much on pavement you couldn’t get a cat past it, never mind a pushchair and it’s there every day." Last year parents in Manchester urged the police to carry out a 'pram test' to catch drivers parking illegally. It came after officers in Hertfordshire took to the streets armed with buggies as part of a crack-down on motorists who continually block pavements. Vehicles parked on single or double yellow lines are a local authority matter and dealt with by individual councils. While the law says parking on the pavement is not a crime - unless you're a lorry - blocking the pavement is against the law. Police in Hertfordshire decided to use the pram as a measure to 'clearly illustrate' the issue and ticketed drivers of vehicles blocking the path. At the time of last year's pram test, Sergeant Paul Lenarcic, from GMP’s Traffic Unit, said: “When we receive reports of an obstruction a traffic PCSO is assigned to make an assessment of the road.